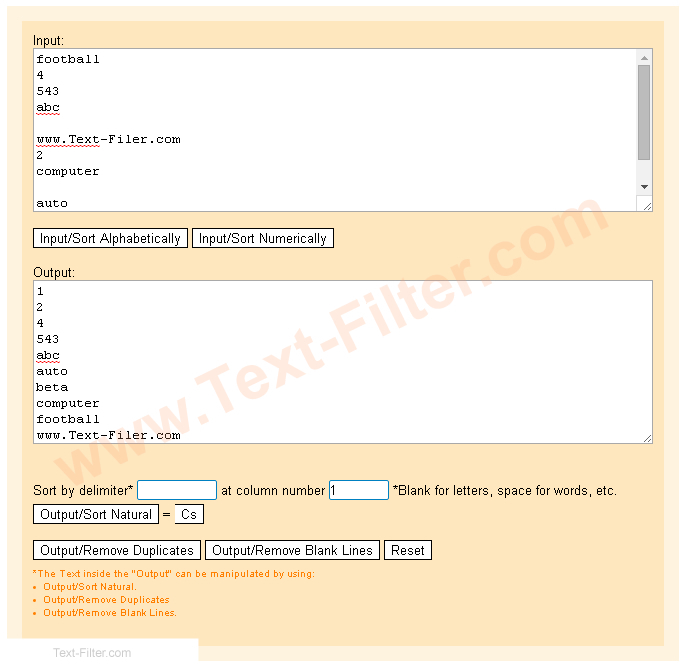 ï»¿ Sort a list Numerically - Free Online Alphabetizer Tool. Online Sort a list Numerically - Sort Numerically Excel. Free, Online Alphabetically,Numerically,Natural Sort Order. Simply paste your Text into the "Text-Area" & Click "Buttons".